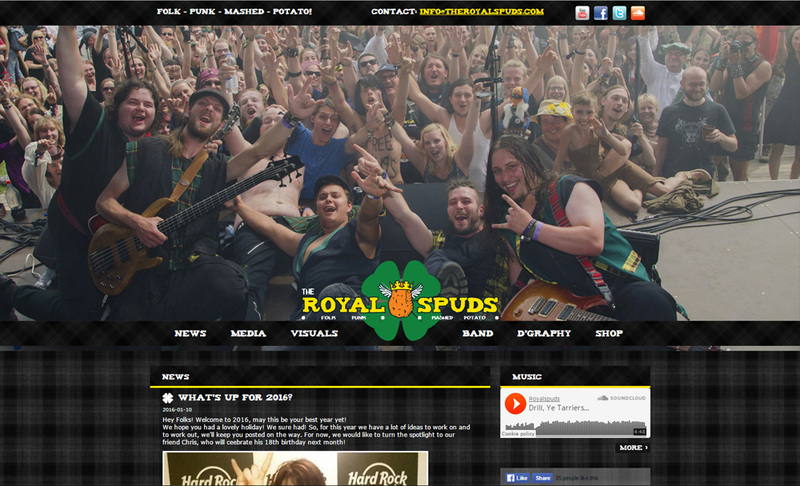 The Royal Spuds website is live since May 2014. 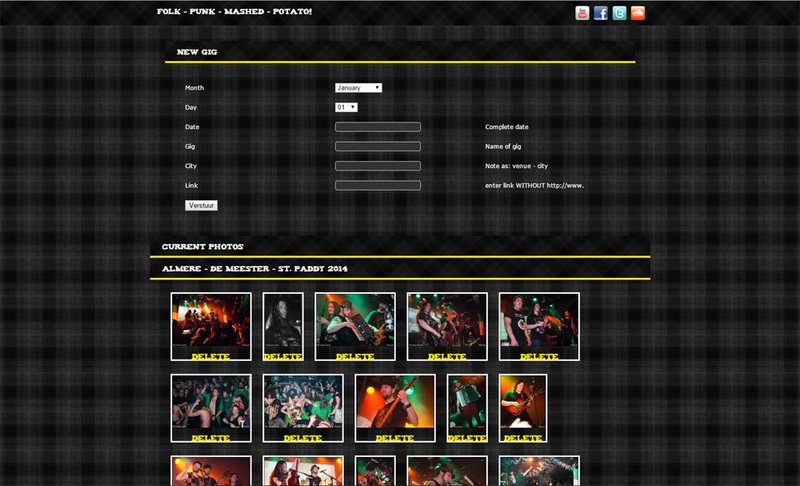 It reflects the style and atmosphere of the band and offers all info their fans need. It is provided with a simple back end for the bandmembers to handle the most important updates, such as new gigs, photo's and news. Due to the changing web-standards the website is expected to get a remake this year.